Tifa and Cloud are childhood friends, but parted ways when Cloud left his hometown of Nibelheim to join SOLDIER. 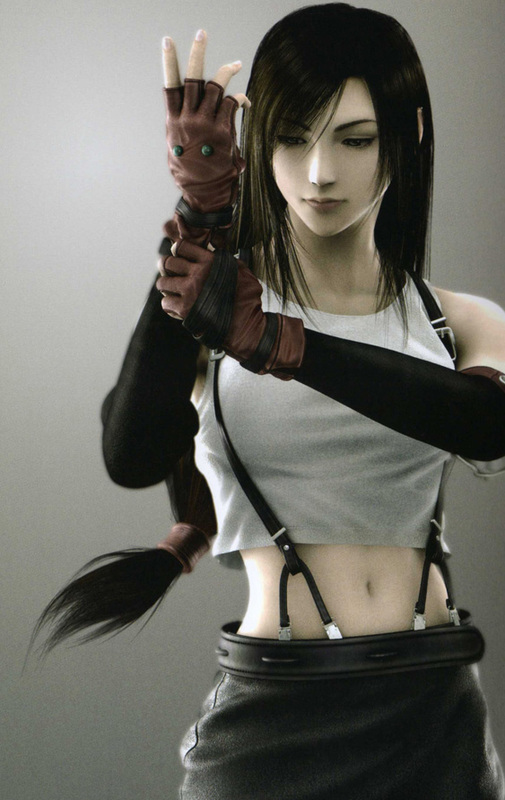 When her parents died, Tifa also left Nibelheim and header for Midgar. Soon after opening her bar, Seventh Heaven, she met Barret and joined his rebel alliance AVALANCHE. She stays by Cloud’s side as his support system throughout the duration of their journey to save the Planet. Even though she has strong feelings for him, she won’t admit it quite yet.